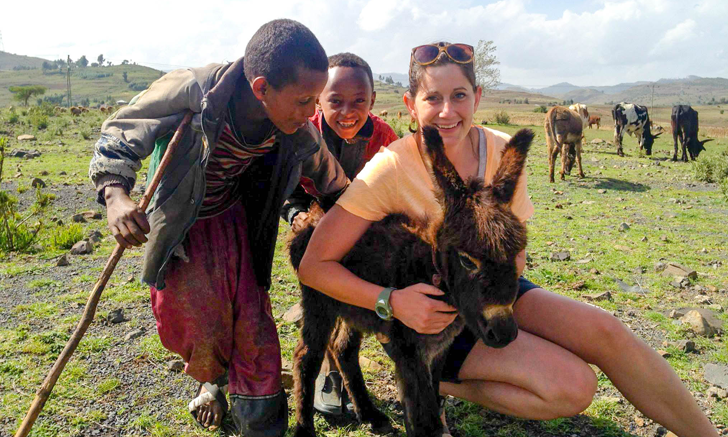 Shannon Mesenhowski, DVM, MPH, is a livestock value chain specialist for the Bill & Melinda Gates Foundation's agriculture development team. She has worked at the US Agency for International Development as the livestock advisor for the Office of US Foreign Disaster Assistance, advising on livestock health, husbandry, and nutrition during disasters, and as a fellow of the American Association for the Advancement of Science in the bureau for food security. She has worked in both mixed and small animal veterinary practice in Minneapolis, Minnesota; Myrtle Point, Oregon; and Washington, DC. She earned her DVM and MPH degrees from the University of Minnesota. FUN FACT: An avid baseball fan, Shannon has been to half of the Major League Baseball stadiums in the country—and hopes to make it to the rest soon! When you have a vague notion of something you want—such as a career you feel is worthy of your dedication—you have to hold onto the dream, no matter how obscure the path may seem. My journey started in veterinary school—rather, when I finally got into veterinary school after an eye-opening rejection the first time. I quickly realized I would likely struggle with compassion fatigue and burnout, so my pre-vet aspirations of emergency medicine seemed unrealistic. Fortunately, as a first-year veterinary student, I met with faculty members who were passionate about large animal medicine and veterinary public health. (I give endless thanks to Drs. Fetrow and Hueston.) These areas of the profession offered the opportunity to use veterinary medicine to make a difference in the world, and I have since focused my career on opportunities in fields that also match my personal values. The crystal-clear moment that has anchored my motivation and ambition was during my fourth-year externship with the AVMA Governmental Relations Division. I spent a month exploring nontraditional veterinary careers—I spoke with awe-inspiring veterinarians in the Washington, DC, area, refined my elevator speech, and strove to vocalize exactly what I hoped to do with my future. Forever etched in my consciousness is a meeting with Dr. Steve Osofsky, who was then working for the Wildlife Conservation Society. 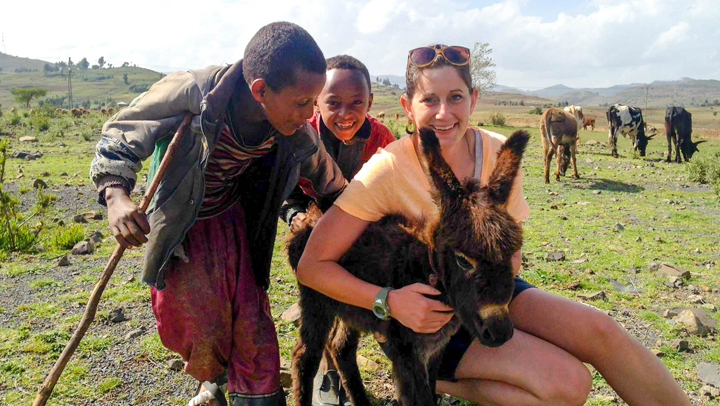 When I explained my goal was to work on livestock in international development, Osofsky said something to the effect of, That is not quite a thing yet—you are going to have to wait for the international development community to catch up with you. Our discussion not only validated the frustration I felt as I tried to identify veterinarians doing what I felt drawn to do but also provided a hefty dose of determination toward making it my reality. Immediately after graduating from University of Minnesota’s DVM/MPH program, I dove into rural mixed-animal veterinary medicine, which was a challenging but rewarding James Herriot-like experience. In our resource-constrained location where every case was unique, often the only way to learn was by doing, but those experiences were an opportunity to learn from strong, wise, fearless veterinary mentors and clients who rightfully expected the best, no matter how wet the ink on my diploma. I spent just under a year at that practice before needing to relocate to a more urban setting where both my husband and I could find work. My next job was at a corporate veterinary practice, where I was immediately immersed in a high-volume small animal case load. I was fortunate to work with bright, motivated, caring teammates, and we hunkered down through missed lunches and late nights and helped a heck of a lot of animals. I was in corporate practice for 8 months when the practice where I had shadowed as a veterinary student reached out about an opening for an associate veterinarian. I jumped at the opportunity to join a team well-loved by its community and to learn from veterinarians and veterinary nurses with a wealth of experience. Although after a year and a half I was quite happy in this practice that felt like home, a large piece was still missing—the ability to use my veterinary public health skills to make a global impact. True to the imposter syndrome pervasive in the veterinary profession, I envisioned a long, rejection-filled path as I transitioned my career. My goal was to obtain a science and technology policy fellowship offered by the American Association for the Advancement of Sciences (AAAS) in Washington, DC, and ultimately to work at the United States Agency for International Development (USAID). I completed my application, certain I would need to make at least 3 attempts. I was floored to learn I had been accepted and placed at USAID, where I would be working on President Obama’s Feed the Future Presidential Initiative, the federal government’s international food security development program. I spent my fellowship working on the team responsible for Feed the Future policy formulation and engagement. Looking back, this was far from a simple transition. I found myself in the deep end of the pool with only my veterinary training and make-it-work mentality to help me through a steep learning curve. The rewards were tremendous, however, and getting a taste of the career I had envisioned for so long cemented my passion. I now had a sense of what the work entailed and its potential outcome, but I was far too green to make the impact I wanted. 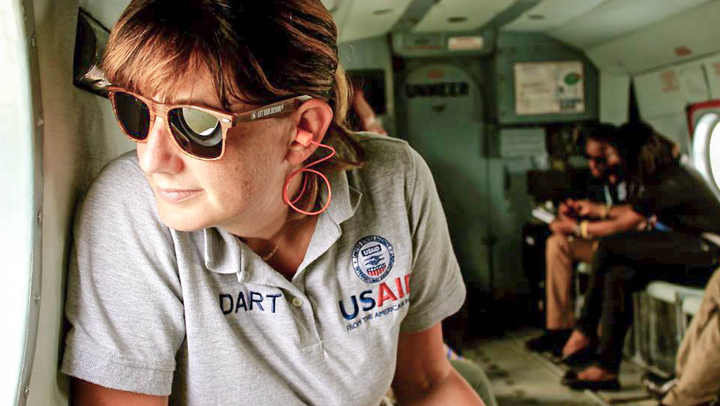 To diversify my skills, I transitioned to the US Office of Foreign Disaster Assistance (OFDA), USAID’s humanitarian arm. I joined the Global Health Fellows II Program (GHFP II) and served on OFDA’s technical advisory group as the livestock and animal health advisor. I was fortunate that Dr. Terry Wollen, a world-class veterinarian in the field, mentored me and taught me about the role of livestock in the aftermath of a humanitarian crisis. 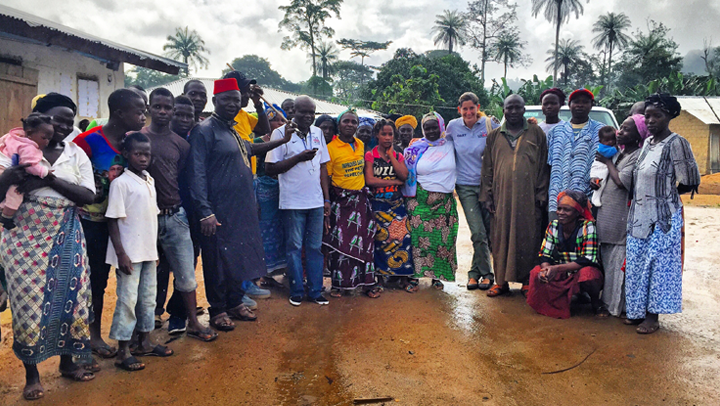 I was able to use that knowledge and my community and public health background as an on-the-ground health advisor for the West Africa Ebola response. After learning the unique and powerful ways in which the US government impacts both development and humanitarian work, I was recently given the opportunity that had always seemed so far-off—to explore private foundation work. I joined the Bill & Melinda Gates Foundation (BMGF) as a program officer on the livestock arm of the agriculture development team. The team focuses on improving livestock health, genetics, markets, and systems to enable people to utilize livestock—already the livelihood for the majority of the world’s rural poor—to lift themselves out of poverty. The work is challenging and thought-provoking. Even on my best day I leave feeling I have grasped only 10% of the scope of my team’s work. I once again find myself in the deep end of the pool, clinging to my make-it-work mindset. 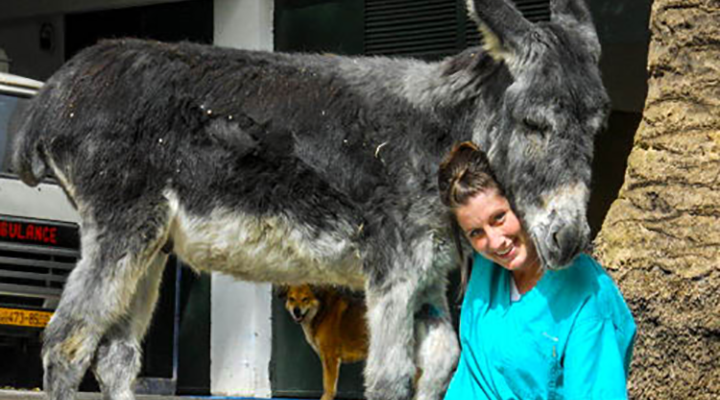 Many brilliant veterinarians are to thank for the progress made in nontraditional career options—the growing number of opportunities means great potential in the private sector and nongovernment organization (NGO) world for today’s veterinarians who possess the necessary energy, excitement, and innovation. I still pinch myself on my way into work. The time spent saying Yes to a variety of nonlinear experiences and opportunities has paid off, and helped make my once vague notion of a career no longer vague. Veterinarians and veterinary students interested in private foundation or international work often ask questions about my job. My answers come with the caveat that, as with much of veterinary medicine, there is no single right answer. My time in veterinary practice fortified some of the most critical job skills I use daily. Understanding clients, practicing empathy and understanding, handling stress, and presenting a calm face to those in need of guidance are skills best honed in a practice. However, I believe if clinical practice is not your calling, you will likely dislike your job, your teammates, your patients, and your clients—and they all deserve better, so do not force it. Work in a veterinary practice to learn if that is your true calling and if you want to learn from your team members, clients, and patients, not because you think you should. Remain open to possibilities and push yourself outside your comfort zone. I have learned I am at my best—most open to learning and most impacted by my surroundings—when I am outside my comfort zone. I was not ready to leave clinical practice when I got the opportunity for the AAAS fellowship, nor was I ready to leave USAID when I was offered the BMGF position, but I chose to take the leap and will work hard to make sure the move was the right decision. I have one piece of advice for those seeking nontraditional jobs, particularly in NGOs: keep trying. Every ounce of experience helps make you a better candidate. Learn to communicate precisely what you want to do (preferably in a few concise words), seek out learning opportunities related to your goal, and you will quickly find that you can intelligently and convincingly explain how your experiences speak to your passion and why you are the right choice for the job. I spent years honing in on the catchphrase of my passion (livestock in international development) until it was so engrained in my consciousness that I anything I did related back to my goal in a meaningful way. How did you find your way into the veterinary profession?